In business today, data is one of your most valuable assets. You protect your capitol assets by placing them in a bank. The same level of protection should be utilized for your data assets. 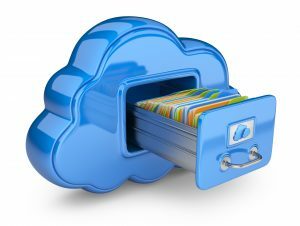 Online storage is simply placing a copy of your data in an online bank, from which it can be withdrawn in case of accidental deletion, corruption, or other disaster. Most companies already see the value and safety of backing up their data and utilize either a physical tape, hard disk or other local media for backup. However, these efforts may be haphazard, and although you may alternate your media on a daily basis, how often do you receive reports of failures or success, or test it to make sure it is working? If it is continuously connected, or does not incorporate various revisions, then you may be susceptible to a ransomeware attack. Every organization needs a data contingency plan. Most businesses already have them in place for other disaster scenarios such as fire, snow emergencies, or illness. Backing up your data is like having insurance against a data disaster. A foolproof Backup and Disaster Recovery (BDR) strategy is a mandate in today’s digital world. Avrom’s Online Data Backup – think of it as insurance for your data! What Data Should a Small Business Back Up? Click to Find Out!